Holiday Camps 2015 Registering Now! 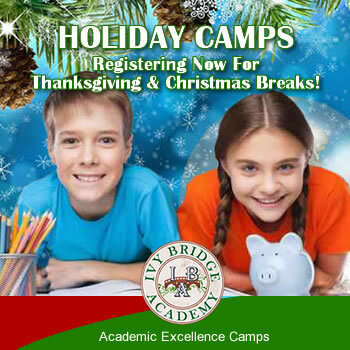 HOLIDAY CAMPS FOR THANKSGIVING BREAK & CHRISTMAS BREAK REGISTERING NOW AT IVY BRIDGE ACADEMY! Holiday Academic Camps for Students in K-8th Grades During Thanksgiving & Christmas Breaks. 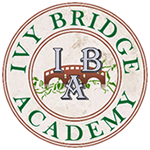 Ivy Bridge Academy’s Holiday Academic Camp Registrations are now open! Enroll your child in one of our Holiday Academic Excellence Camps during the Thanksgiving & Christmas Breaks. Each of our Ivy Bridge Academy Holiday Camps are offered in 3 full day sessions (Monday-Wednesday, 9am-4pm) during Thanksgiving Break and Christmas Break. Help your child maintain their academic excellence through the holidays while giving yourself a break during the busy season! NEW MARIETTA LOCATION GRAND OPENING OCTOBER 24, 2015! Come out and help us celebrate the opening of our new location in Marietta, Ga. Free refreshments and debate classes! RSVP online for the free debate class.